A few years ago, my mom bought several pieces of very pretty blue fabric with the intention of making pillows with it. She never did and passed it to me, where it sat in the craft box for a few years. This summer, I was going to like 4 weddings and I wanted to make a nice dress to wear to them, so I pulled out that fabric and got to work. The problem occurred when I tried to put the zipper in and I measured wrong and made it wayyyyy too small. I wanted to kick myself for not measuring twice and correctly (please note, the photo above is before I put the zipper in.) It was way too small for me to ever even dream of fitting into it, so I gave it to my friend Addie who is super tiny! It was even tight on her, but she could at least get the dress on her body and the zipper closed. Lesson Learned. This was a project I wanted to do for the 75 challenge, but I just could not get to it. Anywho, here’s a little background for you. 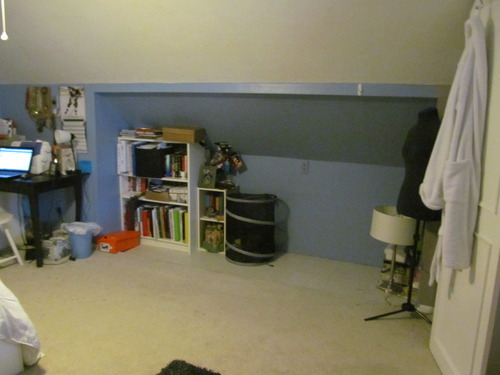 When I was 13 my parents let me redo my room. I painted it light blue and had shiny blue sheets with stars embroidered on them and all white furniture and it was pretty. Then I went to college. 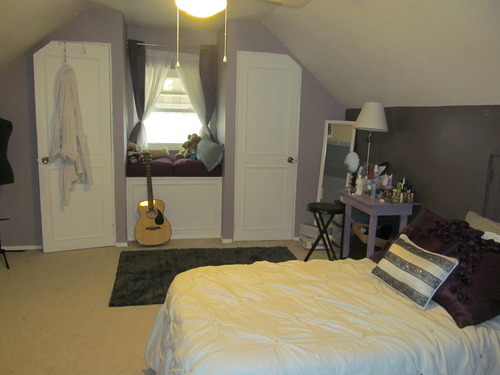 When I came home for my first summer, my mom suggested we update my room to match the stuff I bought for my dorm, which was purple and white. We decided to paint the room grey. 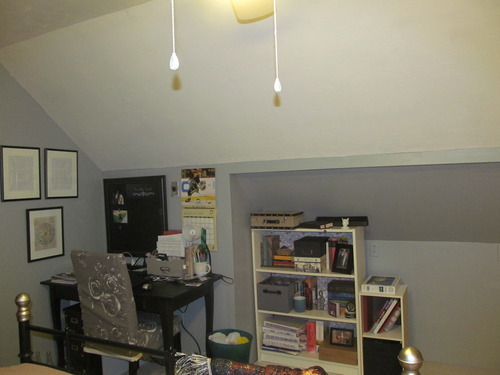 So I went back to school and my mom took it upon herself to paint my room while I was gone. 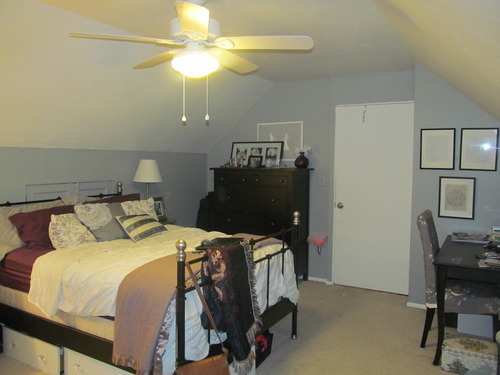 She tried to paint it light grey with a dark accent wall, but it ended up looking purple. AND she didn’t finish so one wall was still blue. 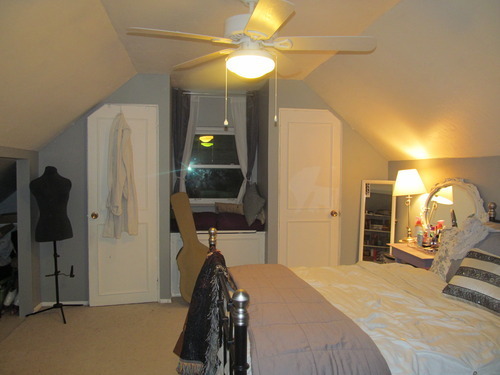 My room was three colors. Then I transferred, moved back in to commute and I lived with it like that for about a year. I finally got sick of it and painted it this weekend. Grey and one color! Muchhhh better. I got a big bed too and hung up some artwork! The first few weeks of my new year have been awesome. 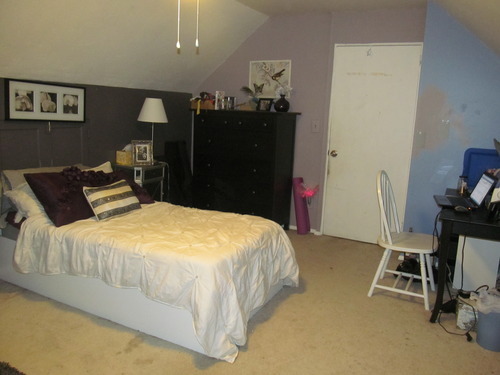 I did a lot of updates on my room and I’m continuing to do a few more. I’ll be posting all about them over the next week or so! 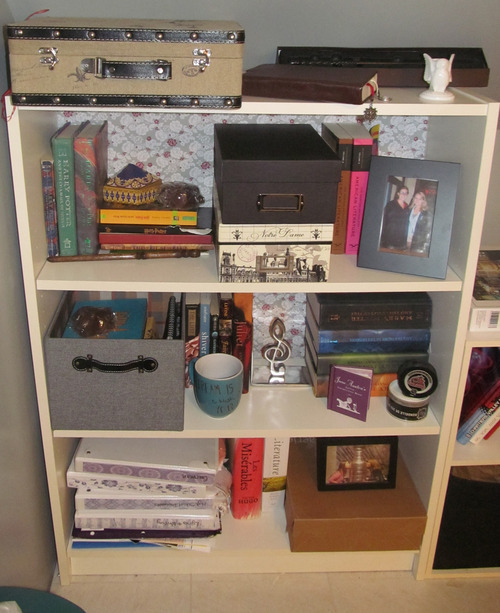 One of the first projects I worked on in the new year was updating this bookcase I got a few years back from Ikea. I kind of hated the plain white back anyway, and wanted to do something with it. 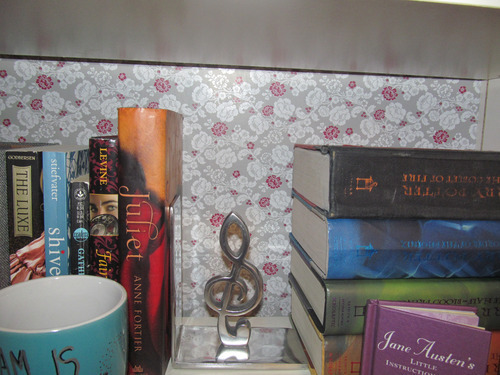 I found some great contact paper at Marshalls for $5.00. I stole some plywood from my dad’s garage to make a new, sturdy back and cleaned out the clutter and dressed it up all pretty! Happy Thursday! So here is a project I did shortly before my 75 challenge began. 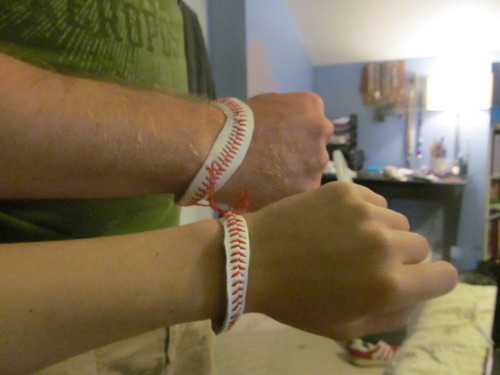 I took an exacto knife to a baseball and made a bracelet. It’s not exactly baseball season but I figured it was a fun project for my first throwback Thursday. Already working on some cool projects in the new year. Hopefully I will get a new layout up within the next week. Stay tuned! Happy New Year Everybody! My beginning to 2013 was particularly awesome because I completed my challenge of 75 DIY projects in 5 months! Thank you to everyone for all the support throughout this endeavor. -Throwback Thursdays where I revisit some things I did before my 75 challenge. -Helpful Guides where I walk you through general crafting skills. -Pinteresting. A new segment where I try a popular pin on Pinterest and blog about how well it works or not. Like my lipgloss fail. -A new layout for my blog! Again, thanks for the support everyone. See you soon!